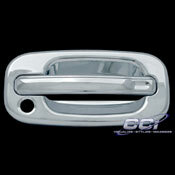 We carry a complete line of Chrome Door Handles. Our Chrome Door Handle Covers remove the ordinary look of your factory handles and transforms them into an eye catching chrome accessory. 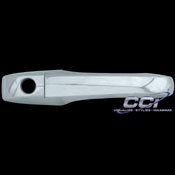 Chrome Remedies Door Handle Covers are triple chrome plated ABS and are quickly and easily installed with the use of pre-applied 3M tape. No drilling, bolting, or cutting required. Complete the vehicles custom look by including a Chrome Grille Overlay, Chrome Mirrors, Taillight Bezel and Chrome Tailgate Handle covers too! 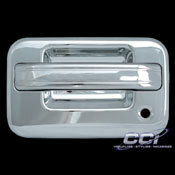 Visit our Online Store to purchase Chrome Door Handles or any of our other Chrome Accessories. 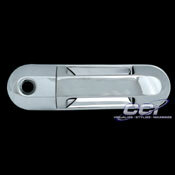 Visit our Webstore to purchase Chrome Door Handles or any of our other Chrome Accessories.